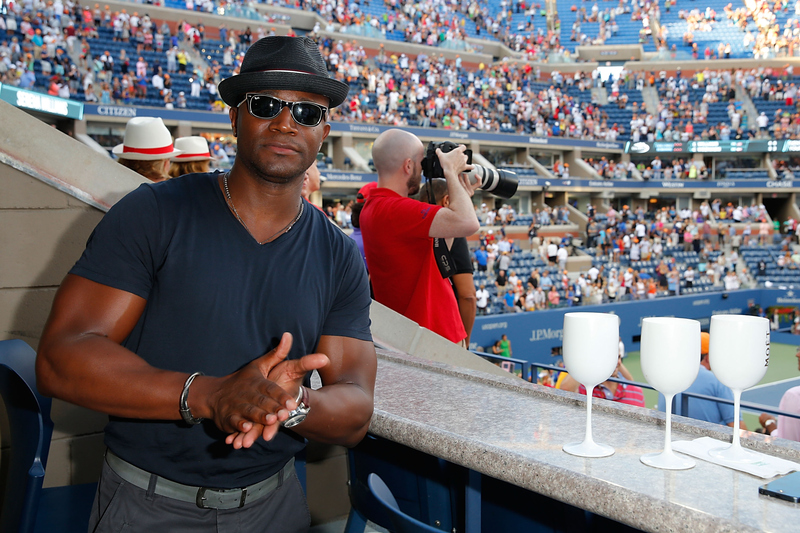 Taye Diggs is an enigmatic creature of the Internet. Sure, you may know him as the ex husband of Idina Menzel or as a human being who wears fedoras without a trace of irony (see above photo for further proof) yet one of his most phenomenally confounding traits as of late is how weirdly wonderfully — or perhaps more aptly, how wonderfully weird — he is when it comes to social media. He's unassailable, whether Diggs is following everyone on Twitter (INCLUDING ME, AT LONG LAST) or posting bizarrely captivating Vines. This very Friday is no exception to the Vine rule, as Diggs has posted a Vine of himself eating an egg with a stranger. Well, he's eating the egg with himself — the stranger is just an understandably confused accomplice to this little six seconds of Internet glory. You'd be confused, too, if someone approached you and started chewing on an egg. You'd probably also be repulsed, given the stench of a hard boiled egg in its usual state. Oh, Taye Diggs — whatever the reasoning is behind your bizarre Vine strategy and whatever larger philosophy there is or isn't behind your posts — you keep being you, and please keep recording these moments and putting them on Vine. And now, behold: Taye Diggs, an egg, and a stranger.